Jaime Dominguez - professional flash developer since 2004. 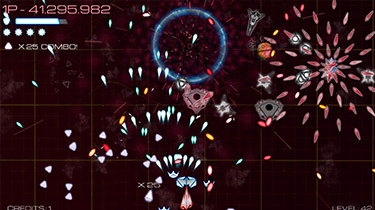 In 2012, developed a remake of a game called Valkyr. 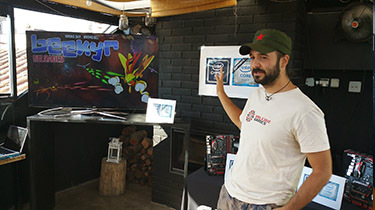 In 2013 decided to go one step further and make his own game he was able to gather an illustrator a composer: Beekyr was ready for the world and KaleidoGames came to life. Since then, Jaime has been developing apps and games with help of some other artists reaching high quality polished titles. 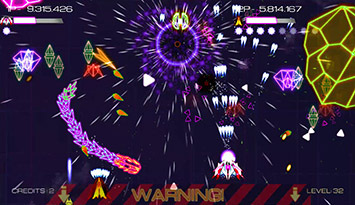 In 2014 we released Beekyr Eco Shoot'em up. It was our first game as group / studio. It was released for Android and we made a few big mistakes: not many games were sold but game got lots of downloads with very high ratings. We learnt how to make a good game but not how to sell it. After that, Kaleidogames made the best tea brewing app for Android (still, in 2018, placed on top results, Android). 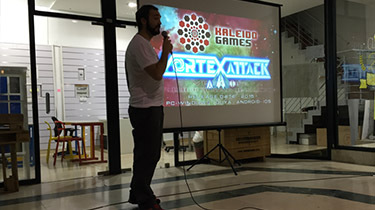 Then, in 2015 we released Vortex Attack. Innitially a mobile game but it was turned into an arcade game. We made new mistakes but this time it was better. Even having really basic graphics we managed to create a fan base. Then, there was a whole year full of experimentation with Vortex Attack updates, tournaments and fairs till we polished gameplay at it's best. After that, out reviews improved (95% positive reviews in Steam) we were selling a lot more. Later in 2016, we started to apply all this new knowledge into our first title to sell it in Steam as we felt the game had a lot of potential. 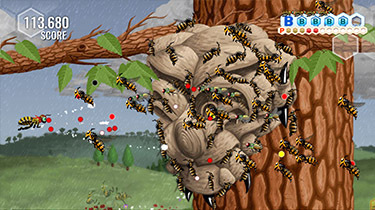 It was released for Steam-PC in 2017 with enhanced gameplay and new graphics and updated in 2018. This is our best title for now. But we are very happy with it, we tend to be more original than commercial. We learned how to produce and sell a game, specially in the overcrowded Steam store. Still a long way to go but we are not doing bad anymore. We indend to keep making original addictive games. In 2018 we associated with Akaoni SL, and released Beekyr Reloaded for Nintendo Switch. We have our hopes high! We have attended, exposed and organized contests in more than 30 fairs. The list is huge but our influence has been mainly Spain. There are far more images available for KaleidoGames, but these are the ones we felt would be most useful to you. If you have specific requests, please do contact us! 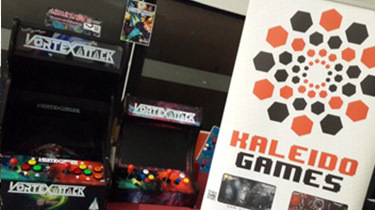 "Article: Creation of KaleidoGames and Vortex Attack"
"Are actual players less skilled than 20 years ago?"